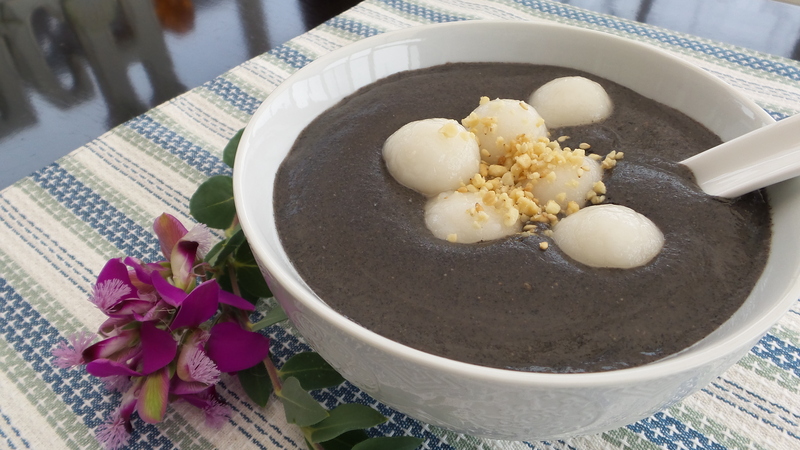 Mix glutinous rice flour, sugar, and water in a mixing bowl with a plastic spatula. Add coconut milk and knead into a smooth dough. Divide into 24 portions and roll each portion into a smooth dough ball. Add the dough balls to the water, and stir to prevent the dumplings from sticking to the bottom of the pot. Continue boiling over medium-high heat until the dumplings floats to the surface. Transfer the dumplings with a slotted spoon into a bowl of ice-cold water, set aside. Mix the rice flour and water until mixture is smooth, set aside. We will use this as a thickener. Mix ground sesame, sugar, milk, and water in a sauce pan. Bring mixture to a boil over medium heat, stirring constantly. Once the mixture begins to boil, lower the heat. Stir rice flour and water mixture again and add by tablespoonful to the sesame mixture while stirring. 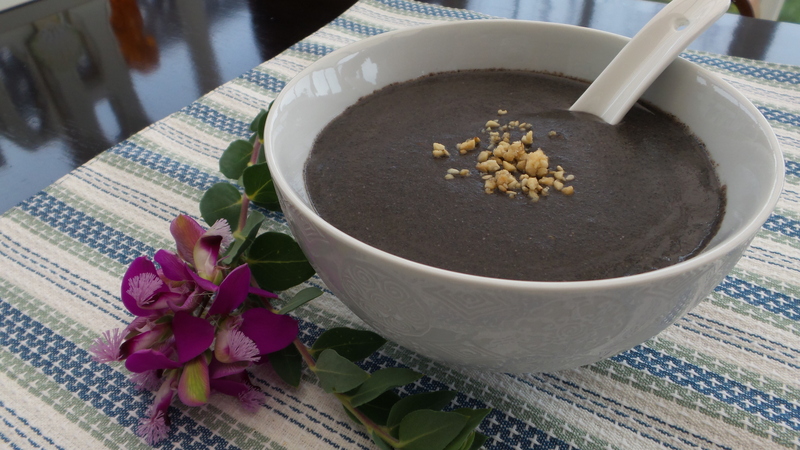 Continue adding the thickener until the sesame paste reaches the desired consistency. Remove from heat and ladle into serving bowls. 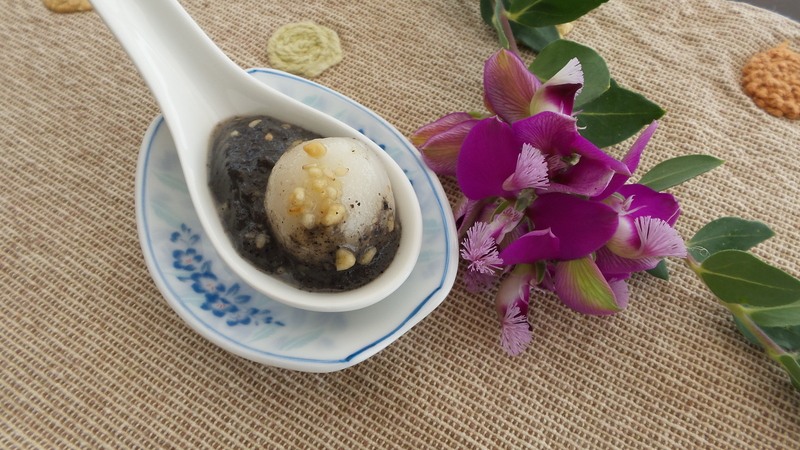 Sprinkle chopped peanuts and serve hot as Black Sesame Paste (芝麻糊）. 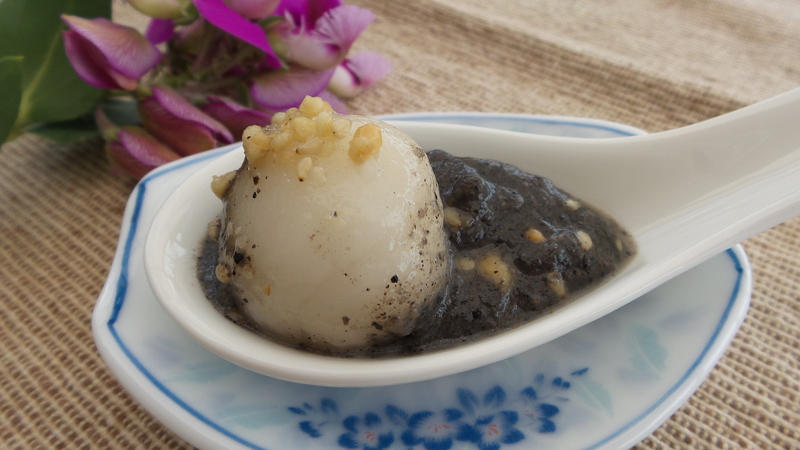 or add the dumplings and enjoy Inside- out Black Sesame glutinous rice balls!